You could live your whole life cooking boxed Barilla pasta, and never once realize how fun and rewarding it can be to make your own. 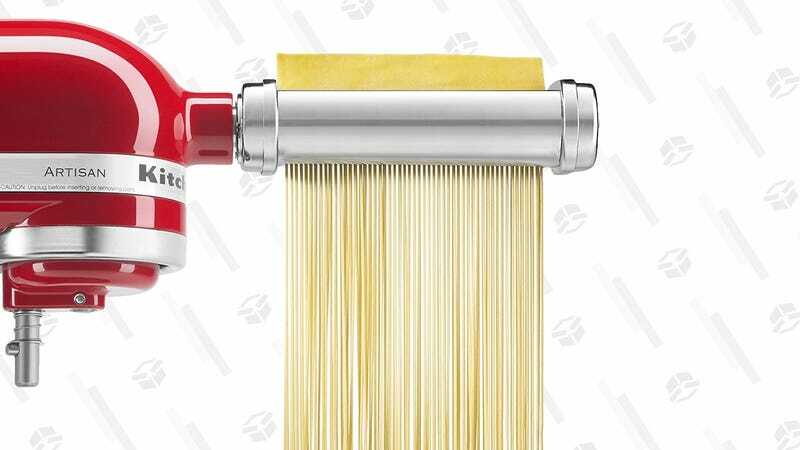 This Kitchenaid pasta roller and cutter set attaches to the accessory port on any KitchenAid mixer, and lets you create your own noodles with multiple shapes in just minutes. $96 is the best price Amazon’s ever listed, so I’d call this deal <kisses fingers like an Italian chef> delizioso.